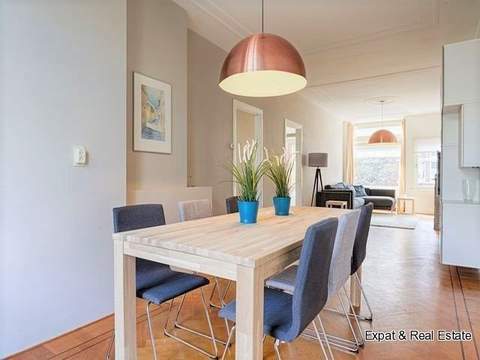 In the ‘rivierenbuurt’, within a 10 minute walk from both the center of The Hague as Central Station, you will find this beautifully renovated, FULLY FURNISHED, apartment of approx. 100 m2. 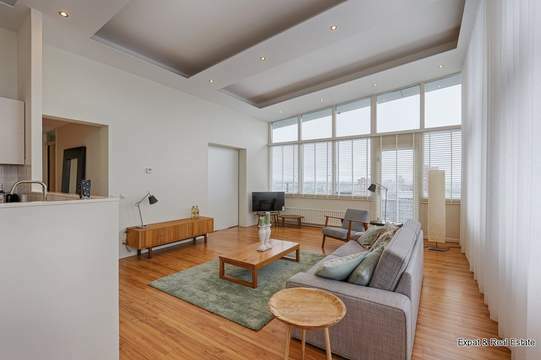 It has 3 bedrooms, a modern kitchen equipped with all build-in appliances, a very neat bathroom and a lovely terrace. TURN KEY AND READY TO MOVE IN!! Very centrally located near the central station of The Hague. The shops for your daily groceries can are within walking distance en the lively center of The Hague with all its shops, restaurants en terraces can be reached in a 10 minute walk. 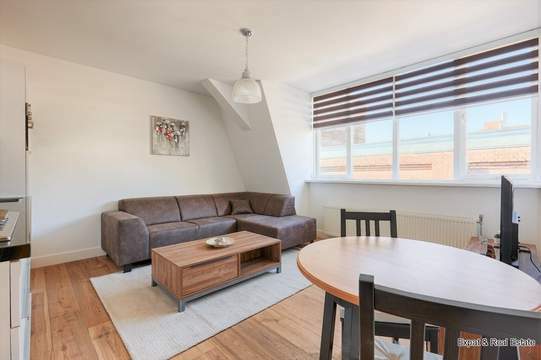 Conveniently located near public transport and access roads. Entrance on first floor, stairs to second floor. Spacious hallway, toilet with washstand, separate storage with washer/dryer combination. Double glass doors opening to the generous, bright living room. The open-planned kitchen is equipped with all build-in appliances like: refrigerator, freezer, gas stove, oven, microwave, dishwasher and extraction hood. From the kitchen the spacious terrace facing south-east can be accessed. The apartment has 3 bedrooms of which 1 is arranged as an office/study. The master-bedroom is fitted with large wardrobes. The tidy, modern bathroom has a double washstand, spacious walk-in shower and design radiator.